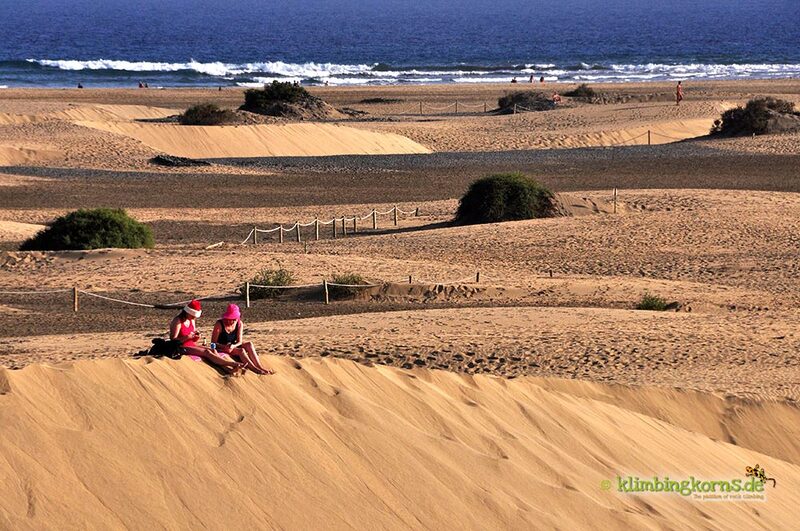 Christmas in Gran Canaria? Yes! You can! The Outdoor Blogger Advent Calender , initiated by Sven from aufundab.eu works like a chain letter during the Advent. 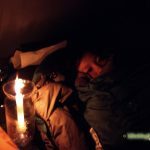 Each day, for 24 days, a different outdoor Blogger tells their story to their gusto. 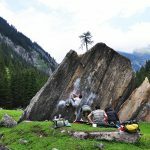 It is a chance for you to get know some of the Outdoor Bloggers residing in Germany. To see all participants, find them listed here. Following Nadine’s post yesterday, low and behold! The 5th door, on the 5th of December and on the 5th day of the week opens today and brings some sustainable tips for this Christmas season. For some, the word Christmas works like a contagious rash. Mention it, and you see them jerking up, turning red, and they run off leaving everything behind. BAM! Others would bake, decorate, light up their houses 3 months before. I usually don ‘t fall into the mood until the last few weeks and then … PANIC!! Christmas presents are great! I love to receive!! But sometimes it can be a torture when you don’t know what to get. This year, it was different. 6 weeks before Christmas and my presents were ready. At least part of it. Besides that, I had been looking around for some ideas, and found these to share. We have seen a few products over the years about upcycled climbing rope. 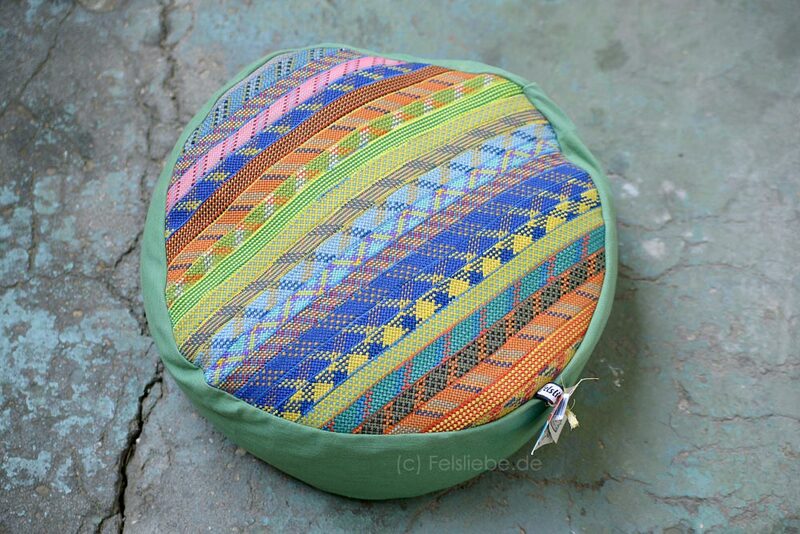 You could make a chair, a rope rug, a ladder, you could help out with some of the access to the crags to be safer with an old rope, or buy this sitting cushion! It was by far the best idea for 2014 to upcycle a rope! The outer cover is sewn from old ropes, and the filling is made from the core of the rope. That way, almost the whole climbing rope is used for building the cushion. Loved the colours! She makes wallets, key chains, Smartphone cases, chalkbags and lots more out of upcycled ropes too. Beanies are trendy! Especially when its colourful and hip. The more colourful, the better. And you can’t have enough. Wouldn’t it be a fine thing to have it go with each of your Thermoball jackets or the synthetic down. Perhaps Alpha Blondy might want one too. And psssst! Please don’t tell them it’s a pressie just yet. oK? 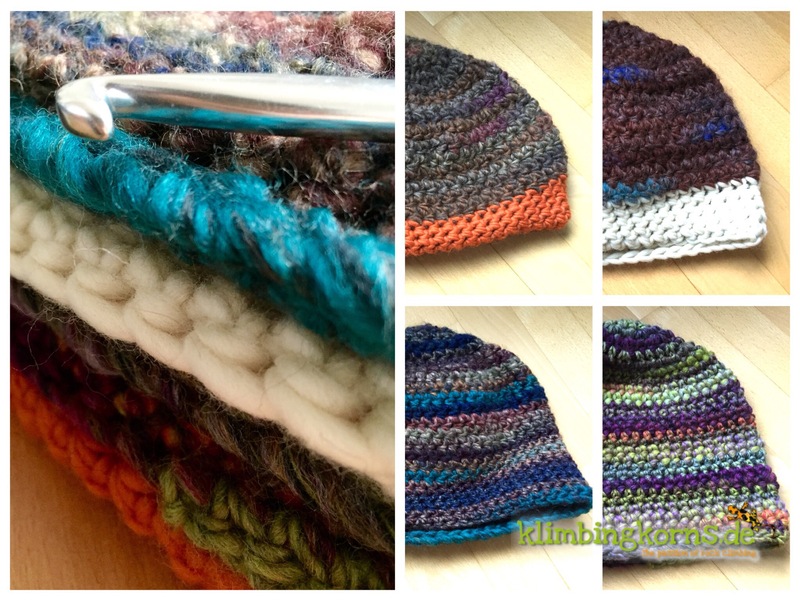 Beanies are easy to make. It takes only a couple of hours to finish. If you feel you have 2 left hands or time is running out, you can opt to buy one instead. Andrea from Franz Strick in Austria or Sirmone from Mona-Lotte in Germany does this for you. Both of them knits and crochets with much dedication and takes personal orders. Just order it in time :-) Corinna from Outdoormädchen had a cool idea to crochet a loop scarf that sparkles at night. It’s great when you’re out for a run in the evenings and still want to be seen. These wool reflects. Hello Santa, I want one too! You can crochet many things, like the chalkbags from Blaue Route. Big or small, he crochets them all. It was easier for me to sew them. If you have a pair old Cord jeans or parts of a broken or torn Backpack, laces, buttons to spare, you can try to make one yourself. 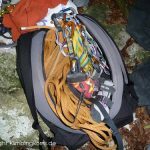 A cable tie helps put some rigidness in the chalkbag to keep it open. A solid toothbrush holder or a little pocket could make the chalkbag interesting. All materials can be found at home. 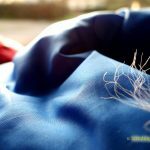 A classic DIY instruction from homemadeclimbing.com shows you how to make the best chalkbags yourself. 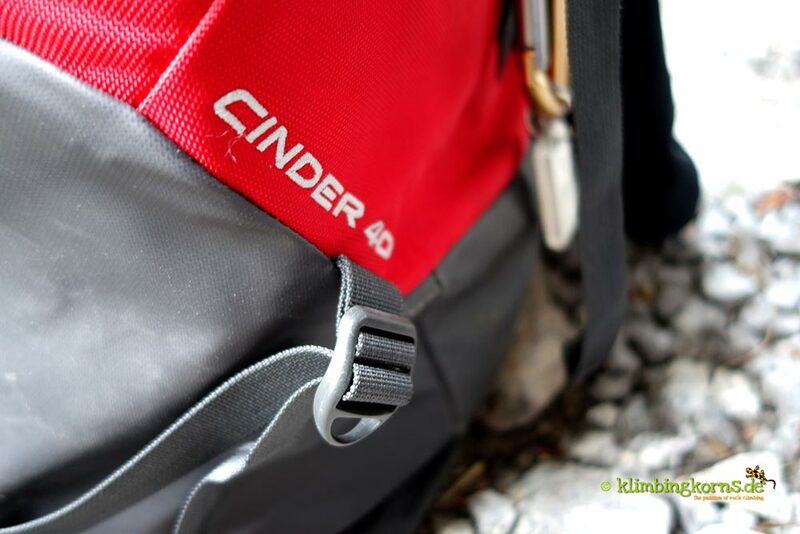 The North Face Cinder Pack 40 is this years favourite climbing gear of mine. It’s a straightforward, simple Back pack made from climbers for climber. 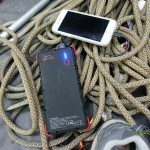 It’s durable and comfortable on longer hikes and closes with just two pulls. 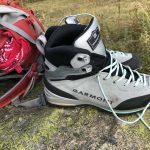 It works as a haul bag on alpine climbs, and is a great sports climbing pack. Oh, it would definitely stand up straight under the Christmas tree, by itself, if you’ve filled it up right. Check out another type of crag bag I tested this year. So, you want to run away from it all…. Treat your yourself to a Christmas Getaway. Try Turkey. 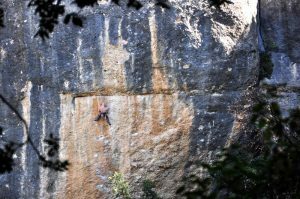 New climbing areas like Cidtibi near Geyikbayiri gained some popularity after the Petzl Rocktrip 2014 and are waiting to be explored. This area is about 45 mins from the Antalya city and lies west. Too oriental ? Then head for Catalunya in Spain. Its a winter favourite. There’s Margalef, Siruana and many amazing areas around Lleida to explore. Friendly people and international climbers, great food, cliffs as far as the eyes can see. Too Mainstream? What about the isolated Canarian Islands off the mainland? Moderate mediterenean temperatures and palm trees makes this a destination for many to stay over the winter months. 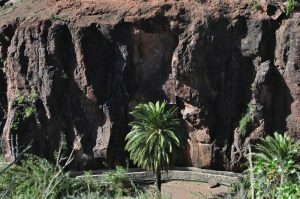 We saw Gran Canaria once over Christmas and thought it was a good bet to get away from the depressive weather back home. Then there is San Vito, Sicily right at the bottom of Italy. While there is still an abundance of areas found on the island, San Vito has the best location for a sun laid crag right on the beach. No other area can beat this 4 km cliff filled with numerous sectors and routes for both the entry and pro climber. Something what you would call, a holiday. And sometimes it can get crowded too. 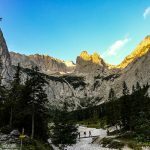 Recent incidences made me hesitant to mention this place, however everyone climbing outdoors should know how to use common sense before stepping into any route. If you feel uneasy about a route, don’t climb it. Routes that are bolted near the sea are subjected to face much harsher weather conditions than those protected, and a rock is never something that stays always the same. Climbing in San Vito, Sicily. The secret’s been out a long time ago, but it’s still worth a mention. Lets explore the mountains together with a climb or hike. Have a great Advent and a wonderful Christmas this season! 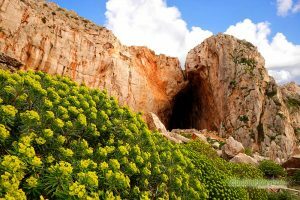 You are right about recent accidents in San Vito lo Capo. 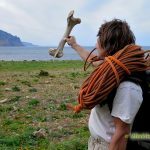 It is true that this year there was a major incidence of accidents (luckily no one fatal so far), but it is true that the area is still quite new, the number of climbers is increasing, and the area is on the sea side. You are right, we as climbers should be more careful in every circumstance and not taking anything for granted. Climb safe! p.s. : by the way, I am going soon to Geykbayiri, looking forward to it!